Click here to see the rest of the post, including some interesting history on sourdough. The longer rise time needed for sourdough increases the lactic acid and creates an ideal pH for the enzyme phytase. This enzyme breaks down phytates (read more about the dangers of phytic acid here) more effectively than in yeast breads. Sourdough rye has the least amount of phytates (somehow the Swiss culture mentioned above must have known this) making it a healthier bread. This is all well and good, but the most pressing reason is the TASTE! That tangy, slightly sour taste is awesome! If you eat grains, make sourdough your primary source of grains. From Cynthia Graber's article in Mother Jones, Michael Pollan Explains What's Wrong With the Paleo Diet. Humans can live on bread alone. Paleo obsessives might shun bread, but bread, as it has been traditionally made, is a healthy way to access a wide array of nutrients from grains. As University of California-Davis food chemist Bruce German told Pollan in an interview, "You could not survive on wheat flour. But you can survive on bread." Microbes start to digest the grains, breaking them down in ways that free up more of the healthful parts. If bread is compared to another method of cooking flour—basically making it into porridge—"bread is dramatically more nutritious," says Pollan. From Bon Appetit: Written by Hannah Wallace. Click here for the full article. No one really knows why celiac disease, an autoimmune disorder of the small intestine that’s caused by eating gluten, and gluten sensitivities are on the rise. But celiac disease researchers and plant geneticists have some solid theories, one of which is the abbreviated fermentation times used at industrial bakeries. “Most of the plastic-wrap bread you find at grocery stores is made very quickly with yeast–it goes from flour to plastic-wrap in three hours or less,” says Stephen Jones, a wheat breeder who is the director of the Washington State University Research Center at Mount Vernon. What that means is that gluten proteins don’t have time to break down as they would in a bread made by traditional methods, where fermentation takes place over 18 to 25 hours, and that makes it harder to digest. It’s possible, celiac experts theorize, that after years of eating highly processed bread, our guts are rejecting it. 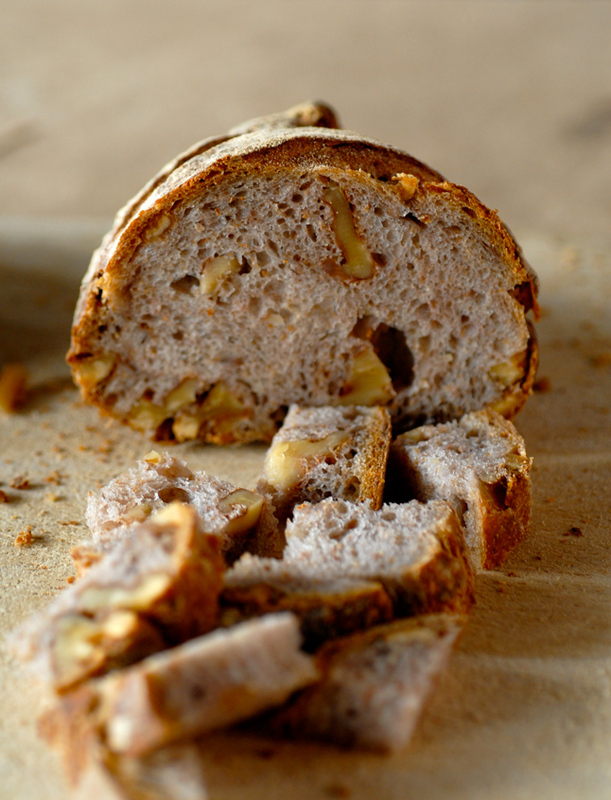 Claudia Orgill at Get Well, Live Well, Be Well also has some great information from a variety of sources pulled together in one post about the benefits of naturally leavened bread.